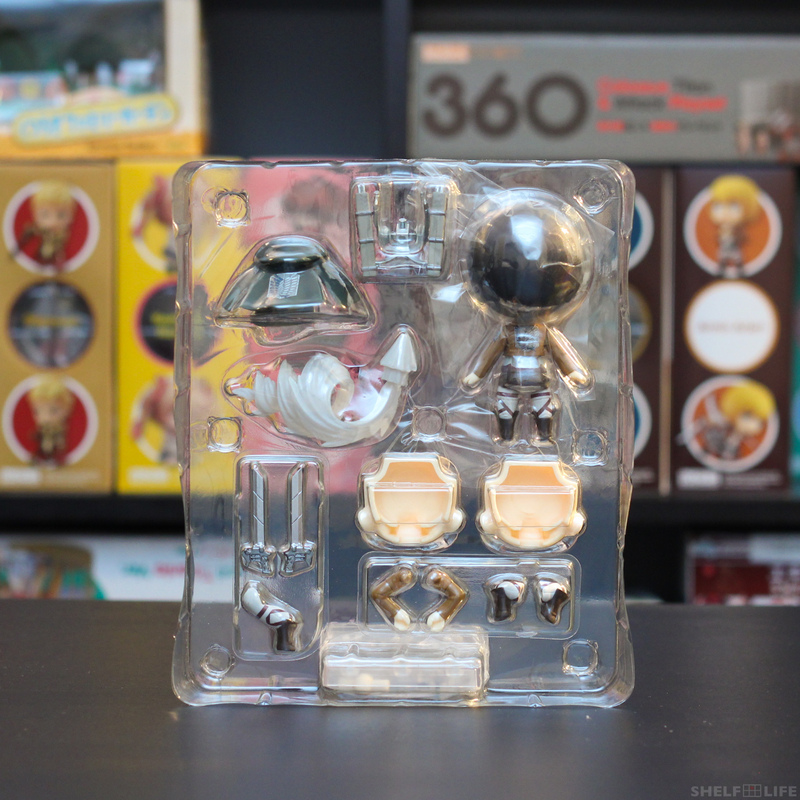 Sorry for the long wait everyone, but I finally have another review to share with you all today! 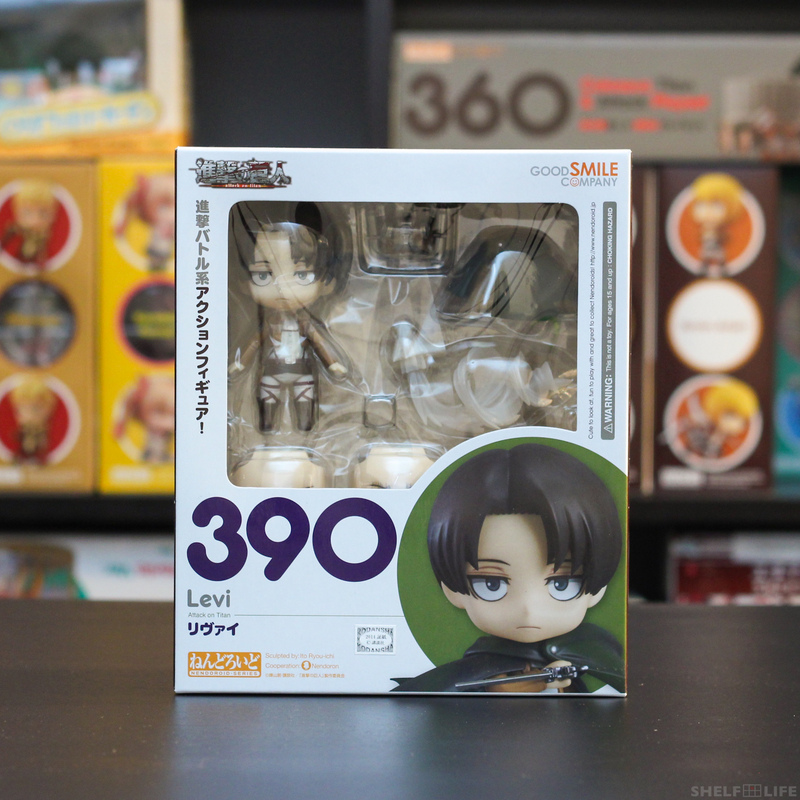 Taking the spotlight today will be Nendoroid #390, Levi, from Shingeki no Kyojin~! 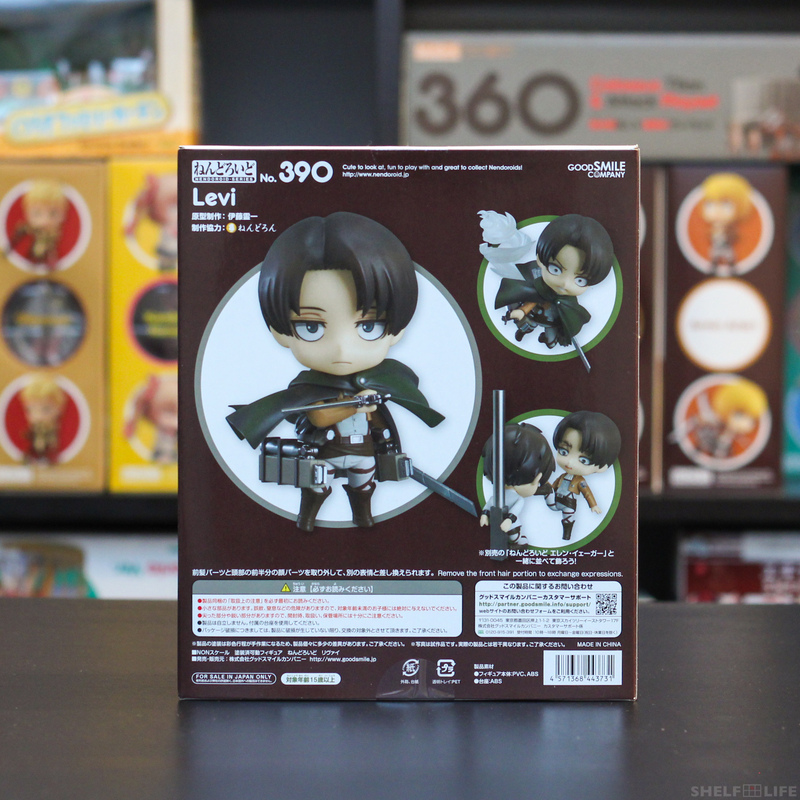 Levi comes in a standard-sized box in the typical post-300 design. 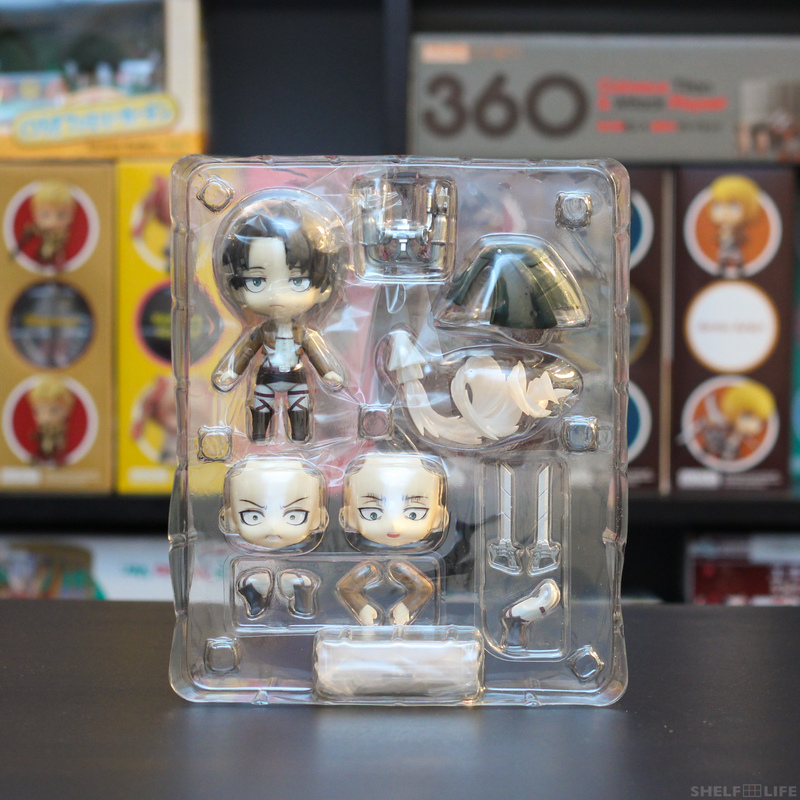 All Shingeki no Kyojin Nendoroid boxes (except the Colossal Titan Playset) come in the colour brown, although Mikasa‘s box came in a slightly lighter shade. 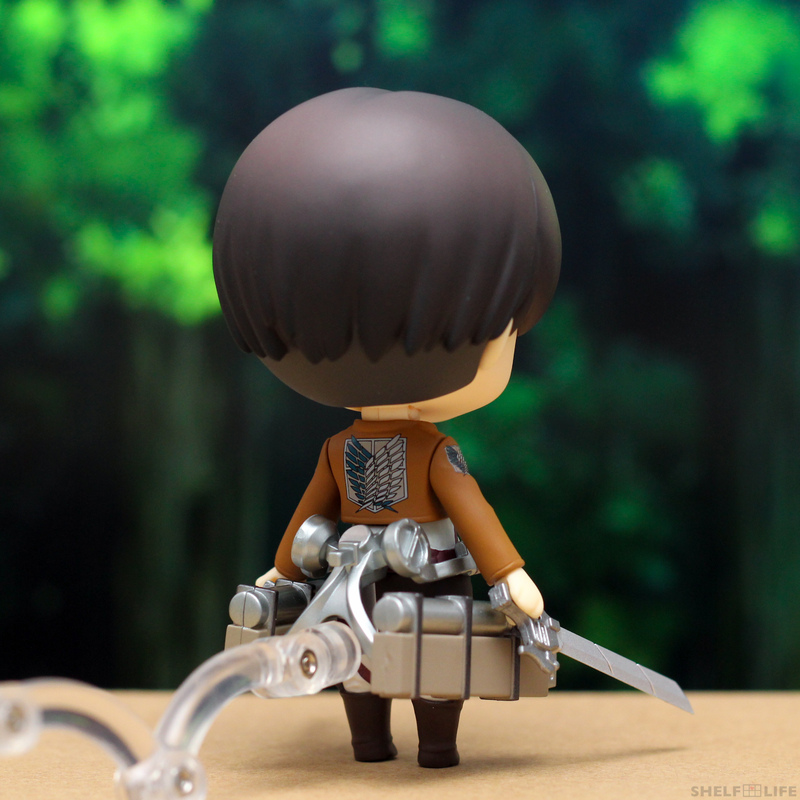 In addition to Levi himself, the box comes with the gas canister and sheath equipment unit for the 3D maneuver gear, a Survey Corps cloak, spiraling effect parts for his unique fighting moves, two additional expressions, two bent legs, two bent arms and hands for holding the dual blades, two blades, and a special bent leg. 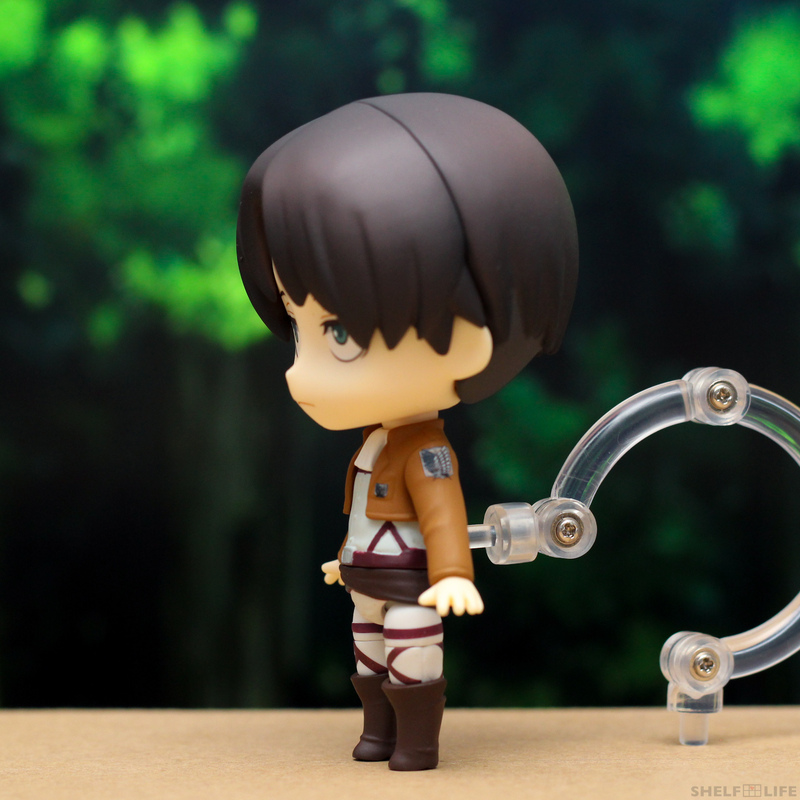 Like Mikasa, Levi comes with a longer-than-average arm for the stand and a square base. 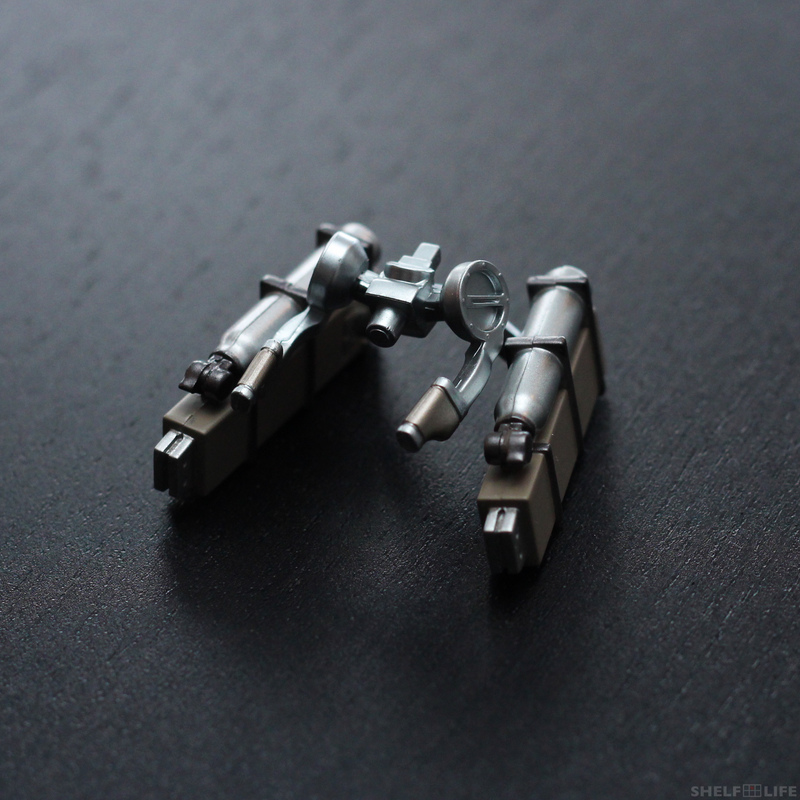 There are two different connectors to the figure; one for use with the 3D maneuver gear and the other without. 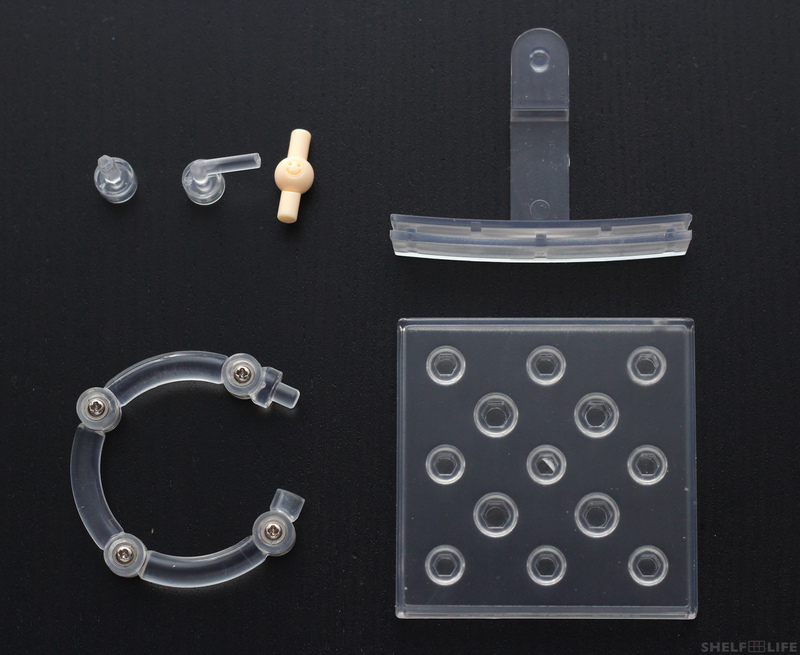 Included is also an extra neck joint and a special attachment to use with backdrops. The paint job on the harness is a little sloppy… but he’s still super adorable! 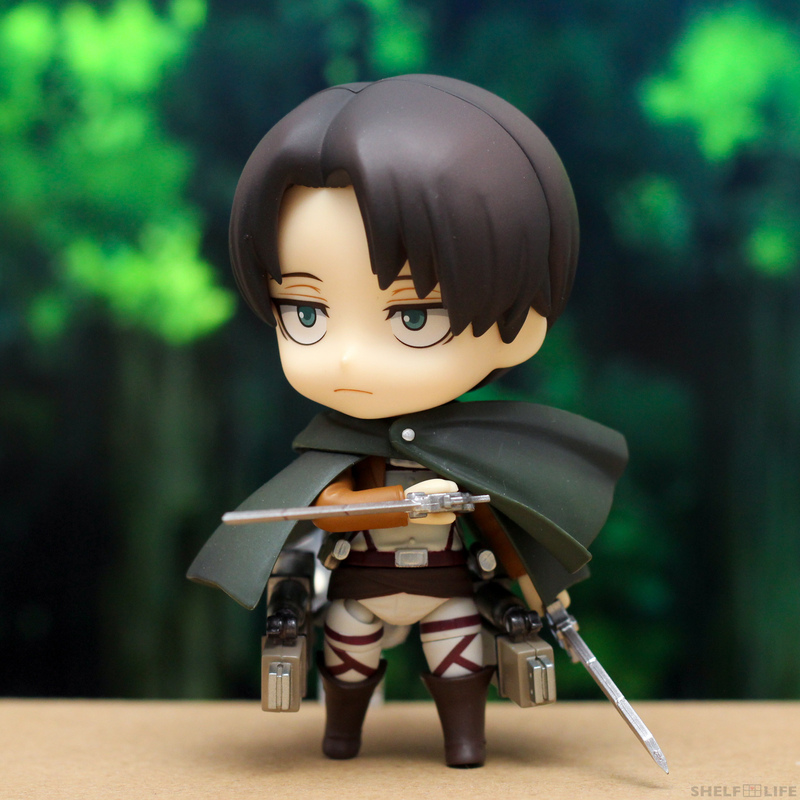 Levi has a rather stoic default expression, and he comes wearing his military uniform while sporting his signature cravat. 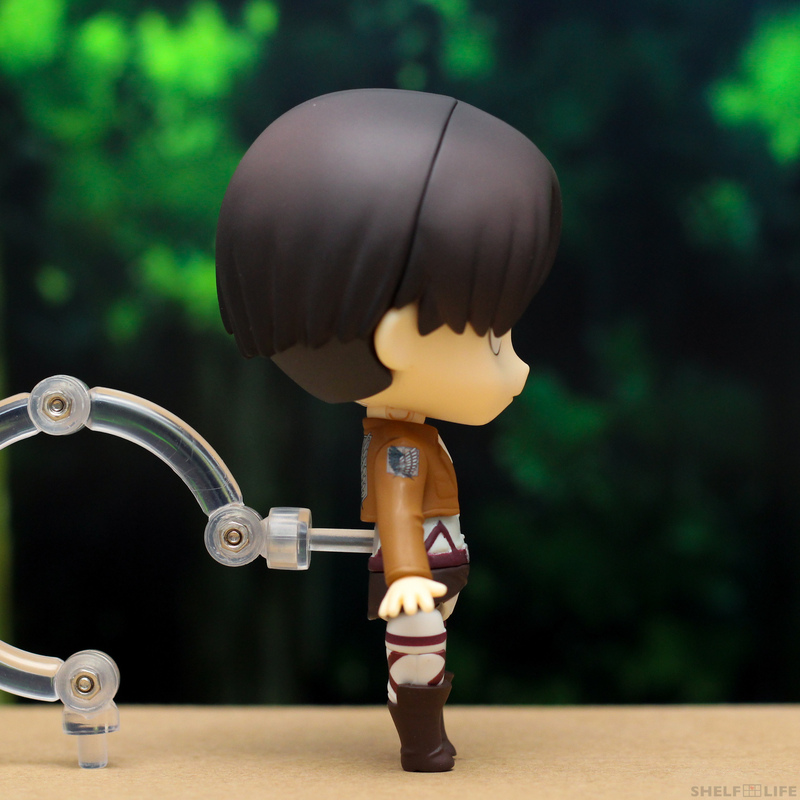 He has all the typical Nendoroid joints, but like Mikasa, Levi’s legs are connected by ball joints that allow for a greater range in movement than normal. First up is the 3D maneuver gear equipment and blades! 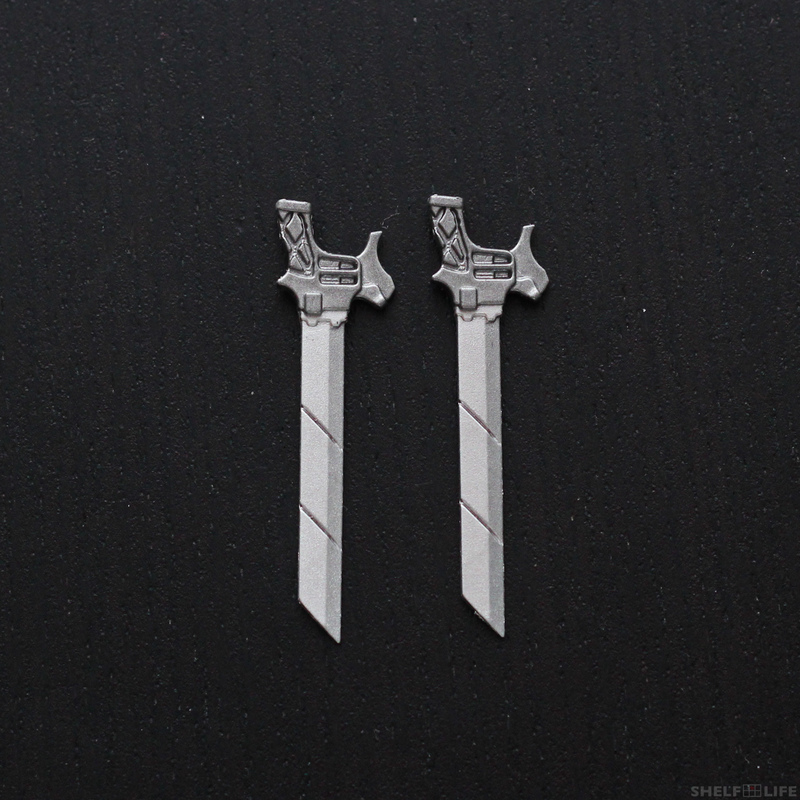 The scabbards and gas canisters are attached to the main device by a ball joint so they won’t restrict posing as much. Extra blades cannot be removed from the scabbards, and there are no parts included to simulate the steel wires that come out of the device. The blades are permanently attached to the operating devices, and as you’ve probably noticed, they are also not tethered to the main device that is attached to the body. 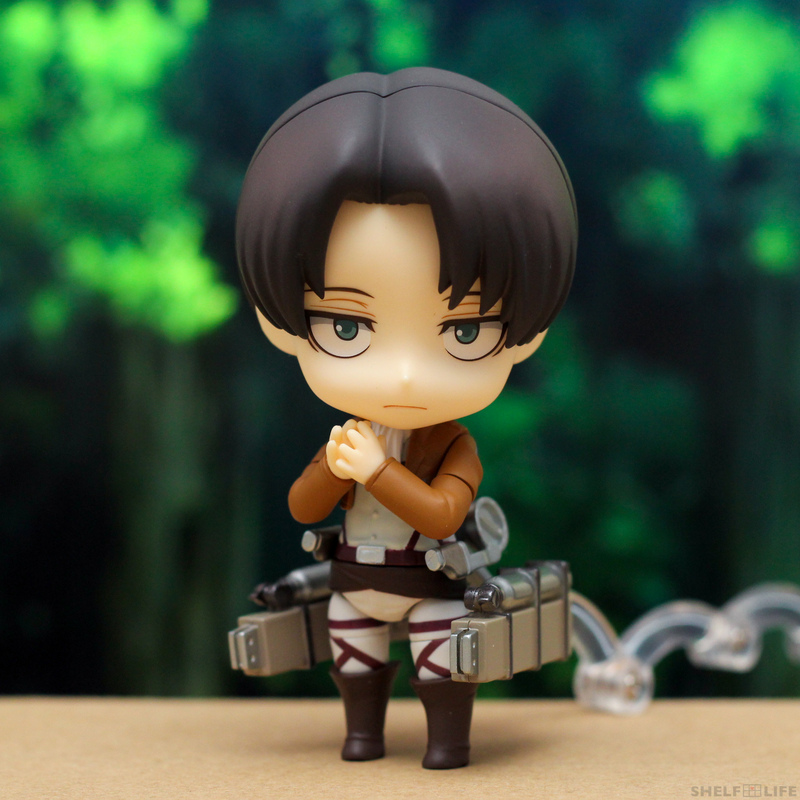 Although Good Smile Company has overall simplified the equipment for the Nendoroid, there is still an impressive amount of detail that went into them. 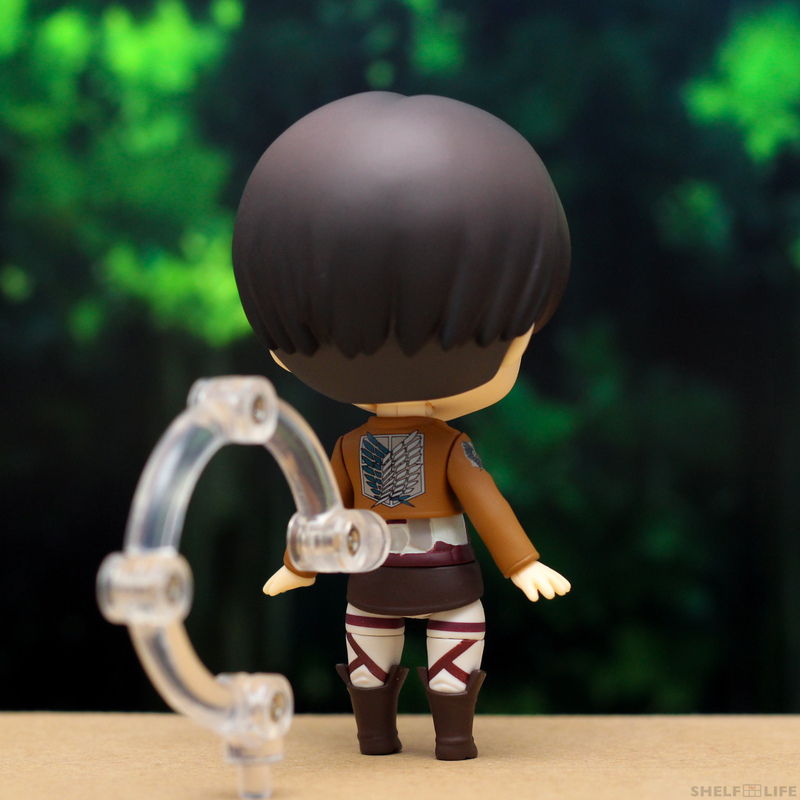 The 3D maneuver gear plugs into Levi’s back, where the stand normally goes. 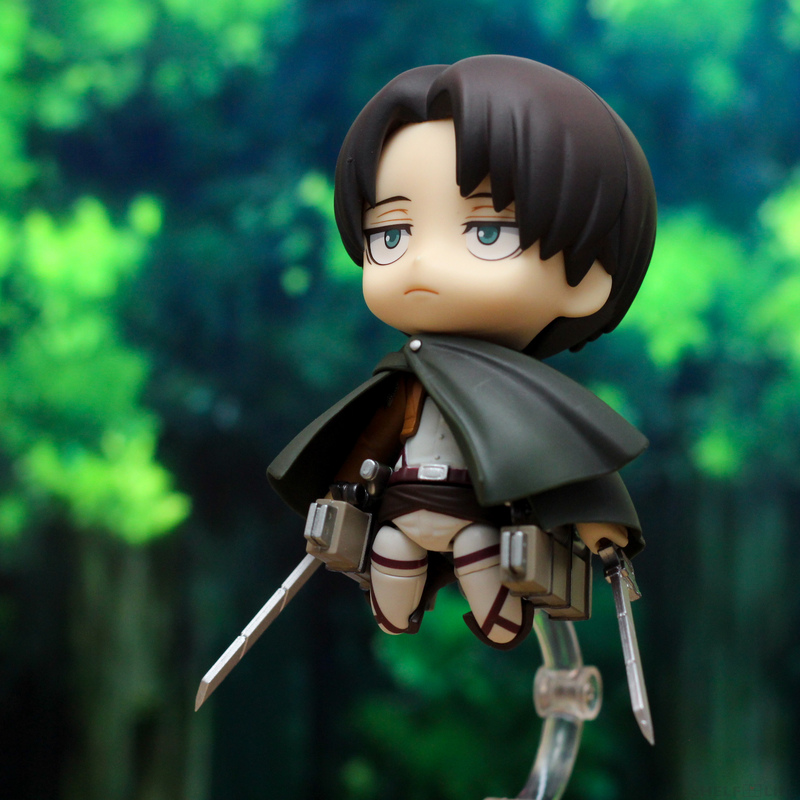 He comes with two hands for holding the dual blades. 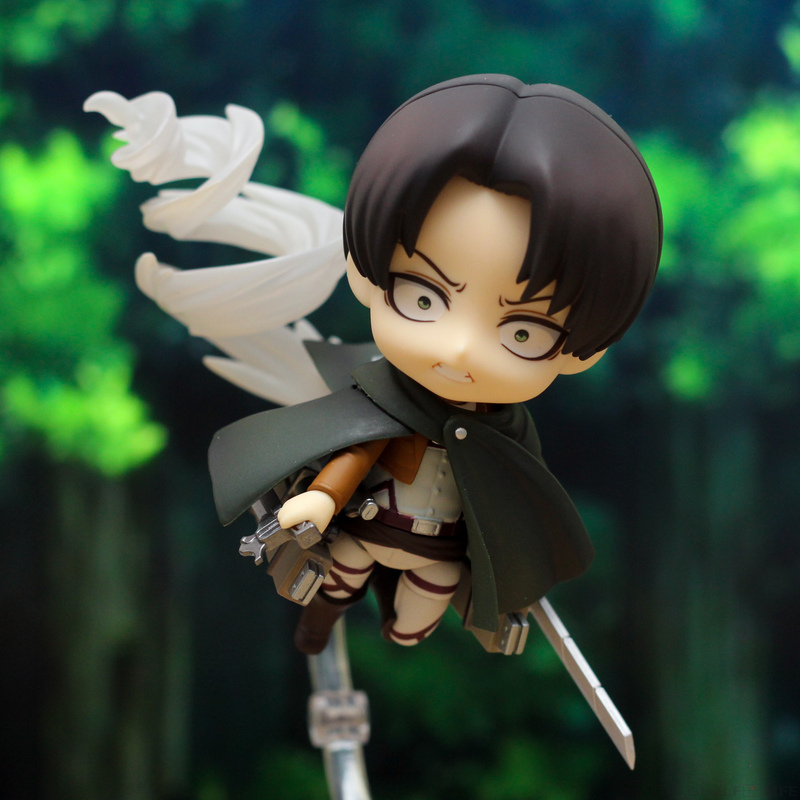 You can also have Levi holding his blades backwards in either hand for poses showing off his unique style of fighting. 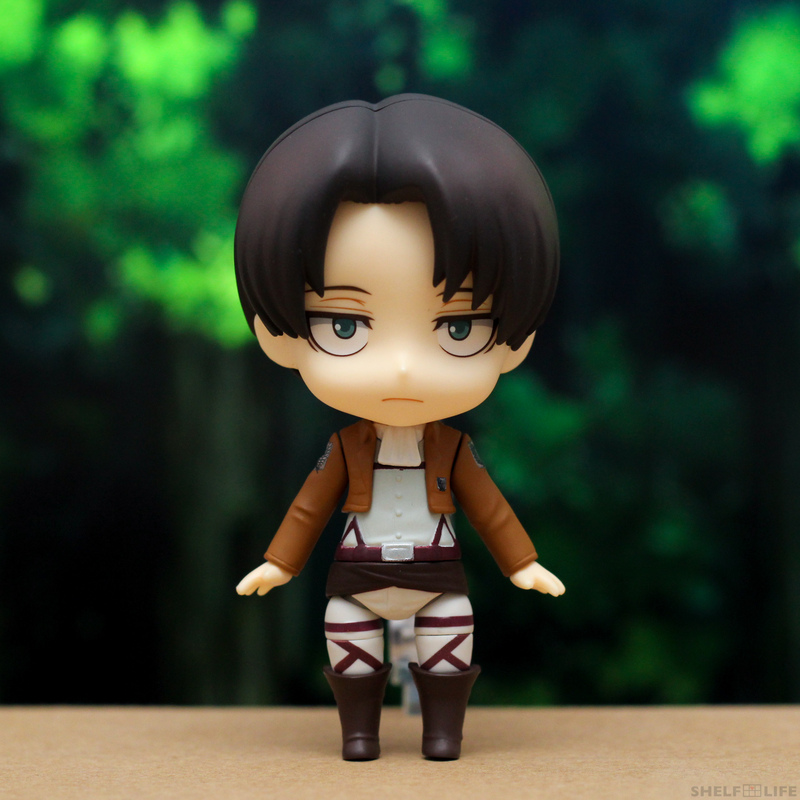 Levi comes with two bent arms in addition to his default straight arms. These arms are connected by a peg at the shoulder but are also segmented at the upper arm for more posing potential. 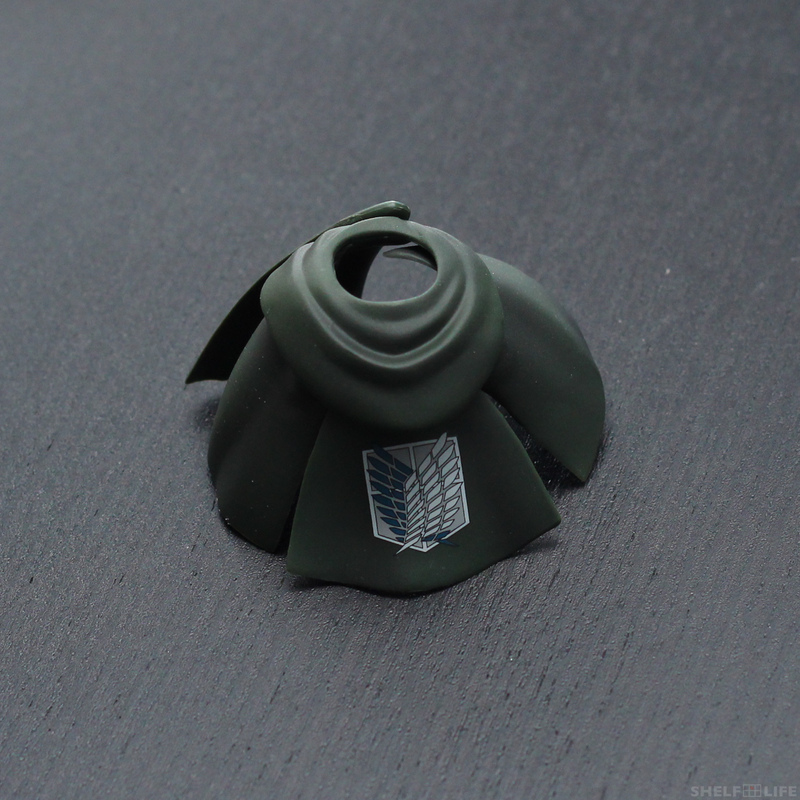 Next we have the Survey Corps cloak! 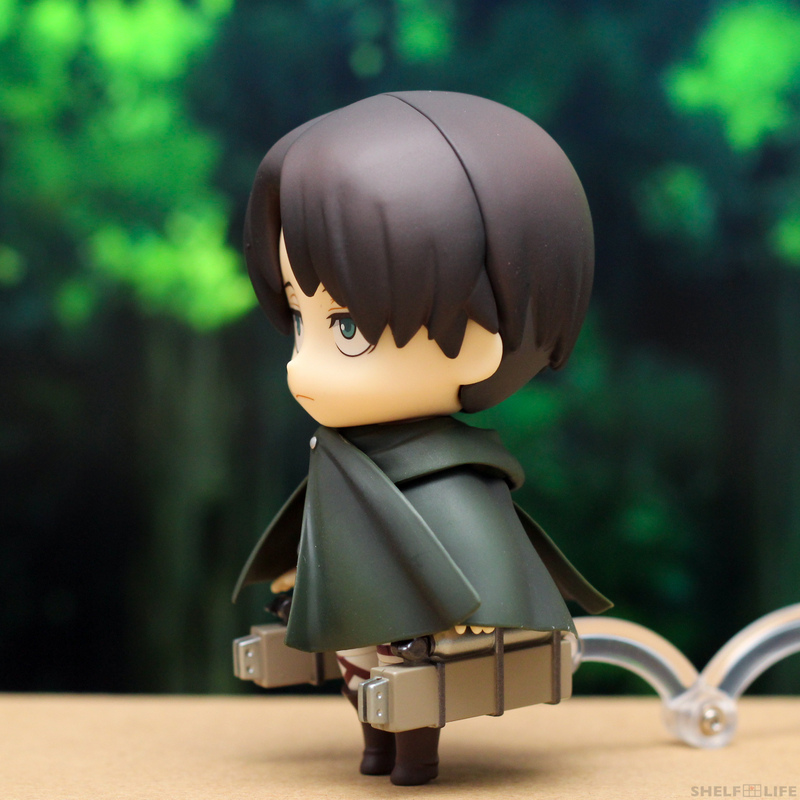 Levi belongs to the Survey Corps branch, so it is only appropriate that he comes with the Survey Corps cloak. 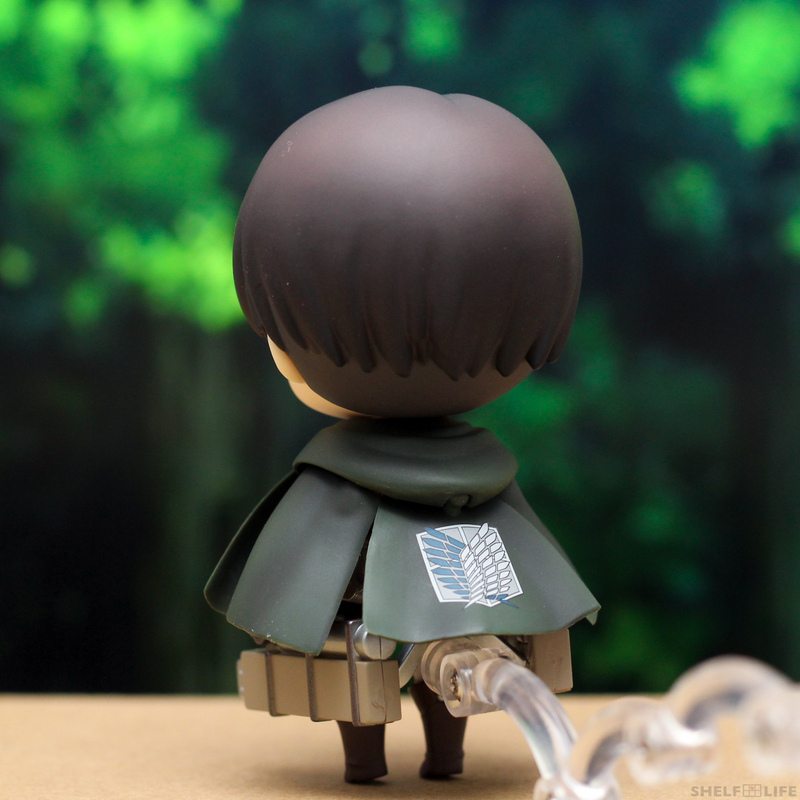 The cloak is made out of plastic, and the hood that goes around Levi’s neck is connected to four main pieces. 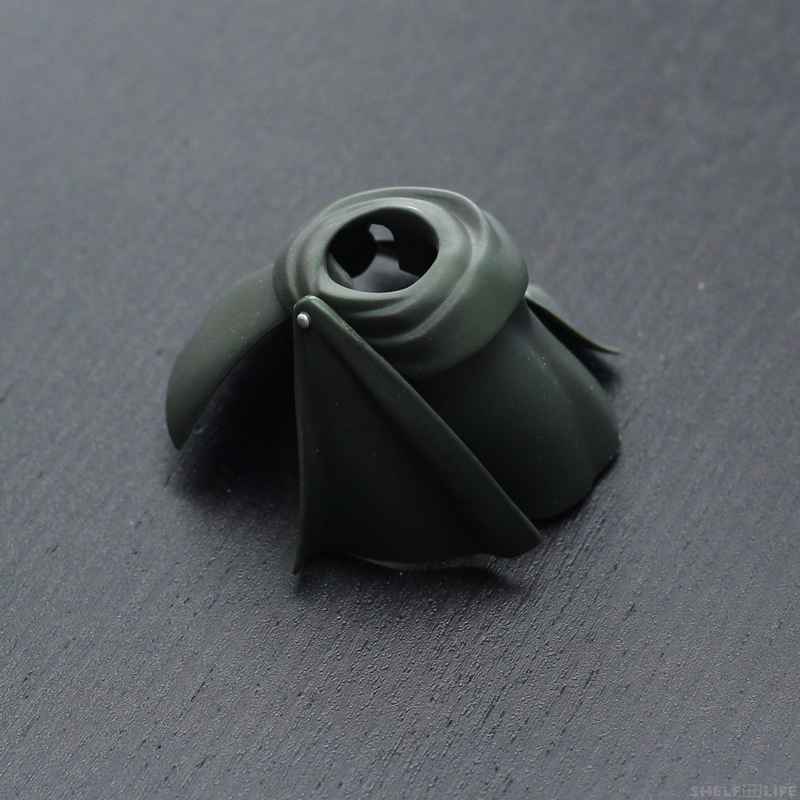 The front of the cloak is attached by a peg, and the other three sides are all attached by a different ball joint. And let’s add in the blades as well! 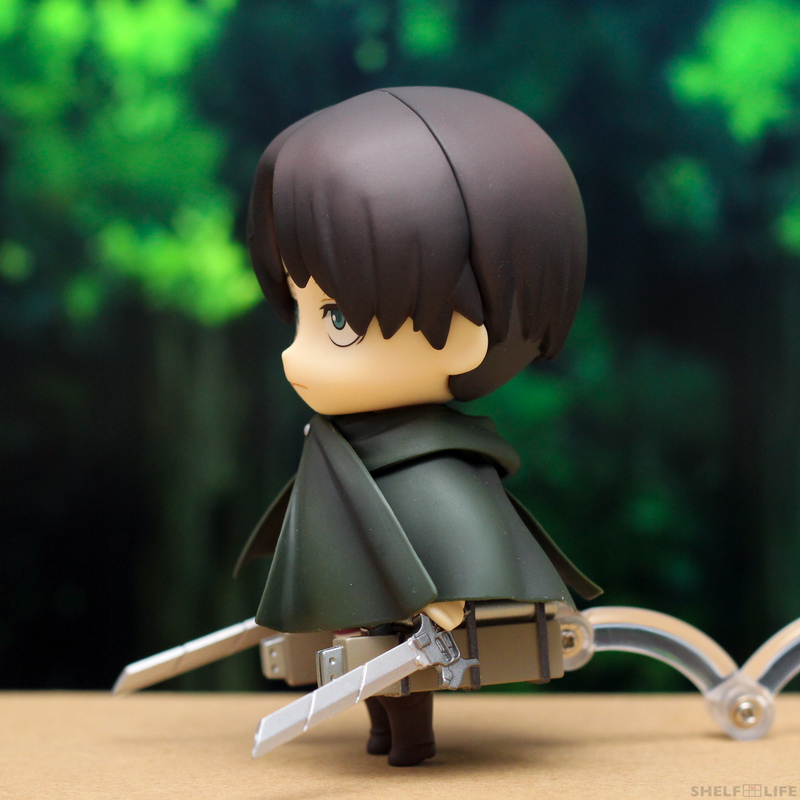 As I mentioned earlier, the cloak really does limit what his arms can do, but there is an opening on the front that you can show his arms out of. 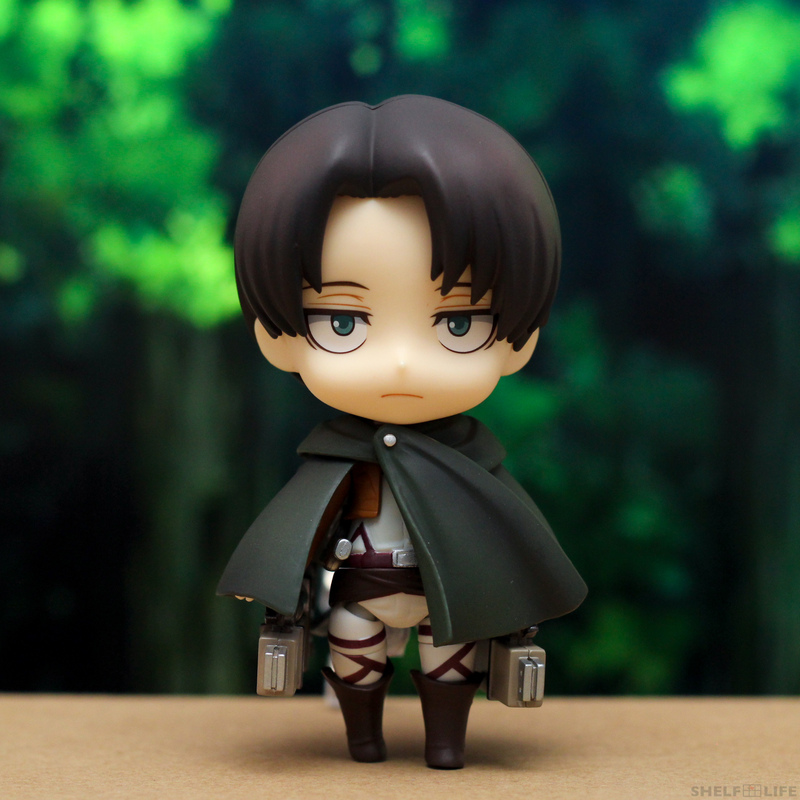 Depending on how far you move the front piece of his cloak, you’ll have more space. Or in the middle of striking his opponent! 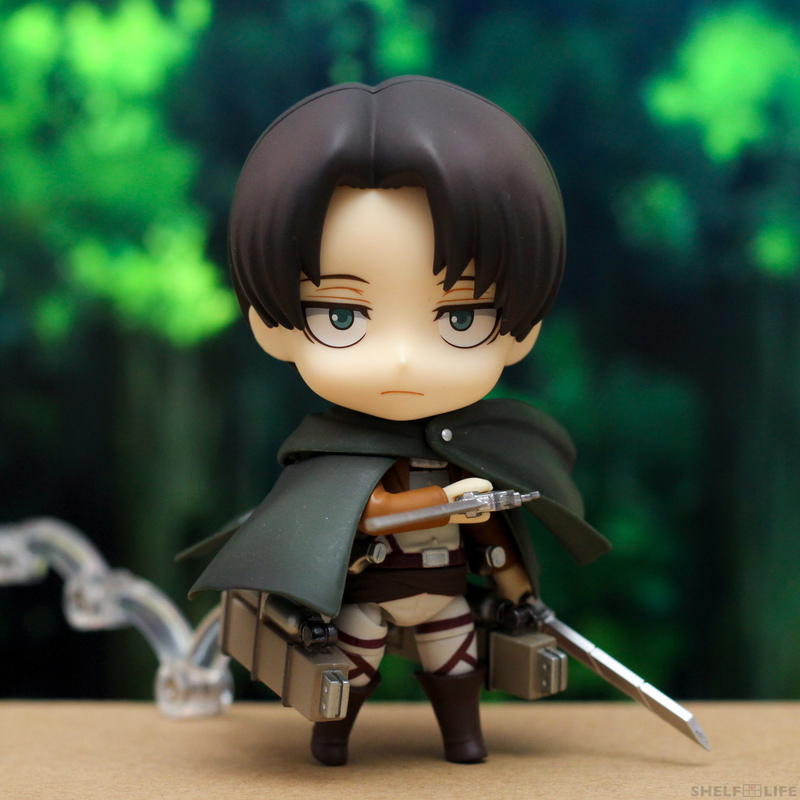 One of the extra faceplates that Levi comes with is a teeth-clenching angry expression. 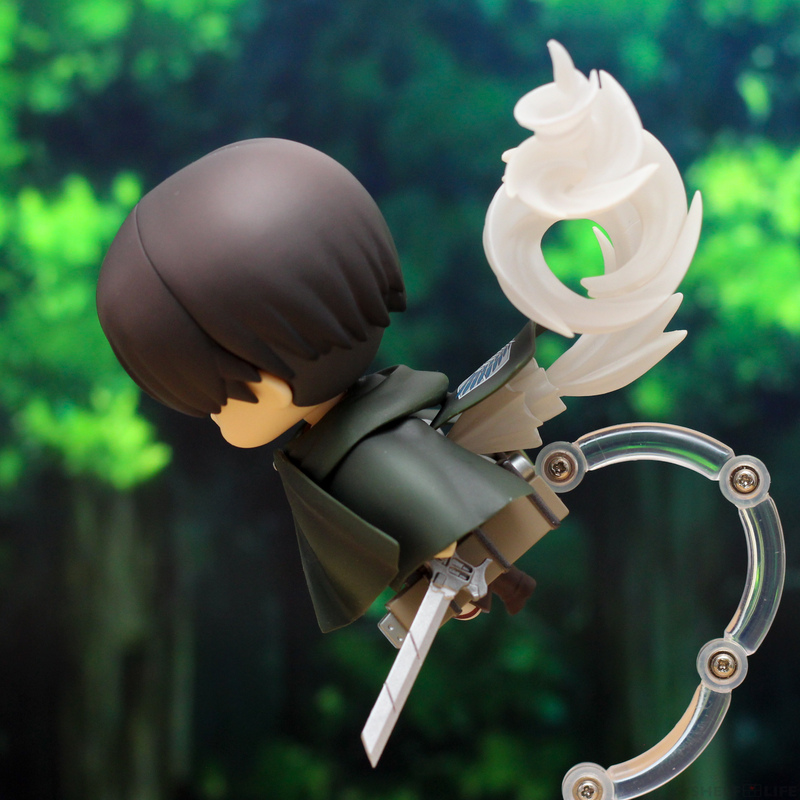 He also comes with a spiraling effects part for his special spin attack. The spiraling part can be rotated, allowing the attack to come from different directions. 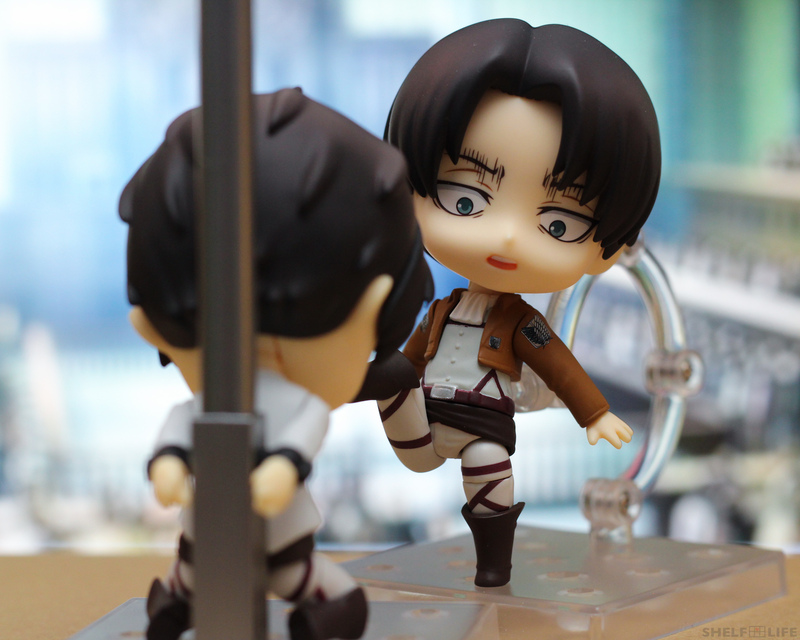 Levi is about to kick Eren and beat him up!! 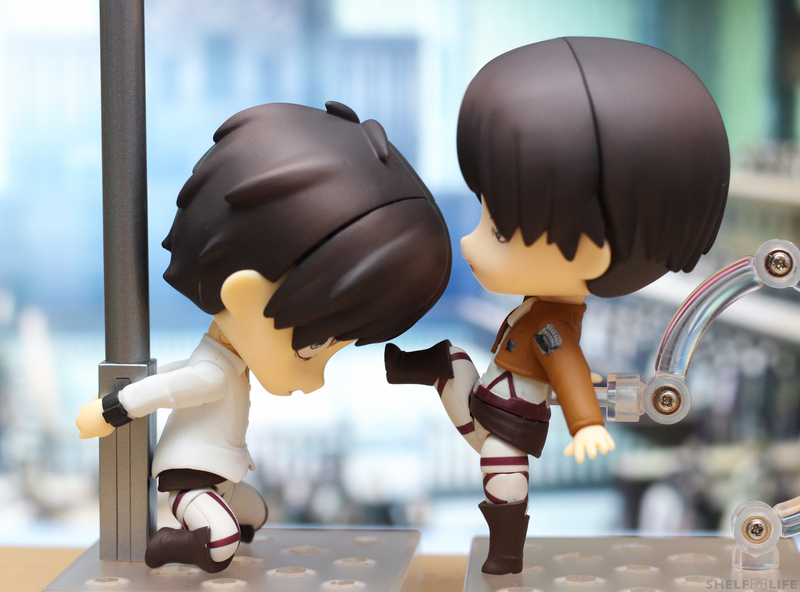 Because of how disproportionate Nendoroids are, Levi’s foot can’t actually reach Eren’s face. 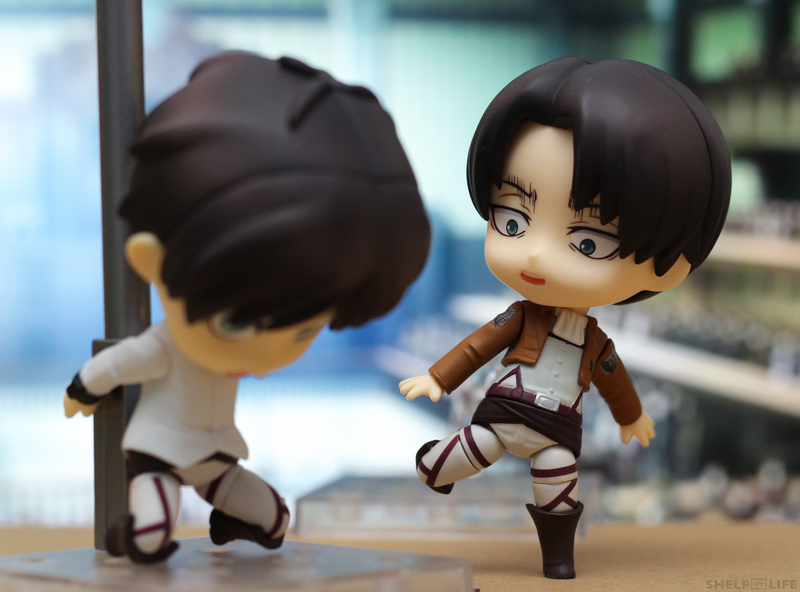 You’ll have to play with camera angles to make it look like there’s contact, but if you’re just going to display them, Levi can only threaten Eren with his foot. 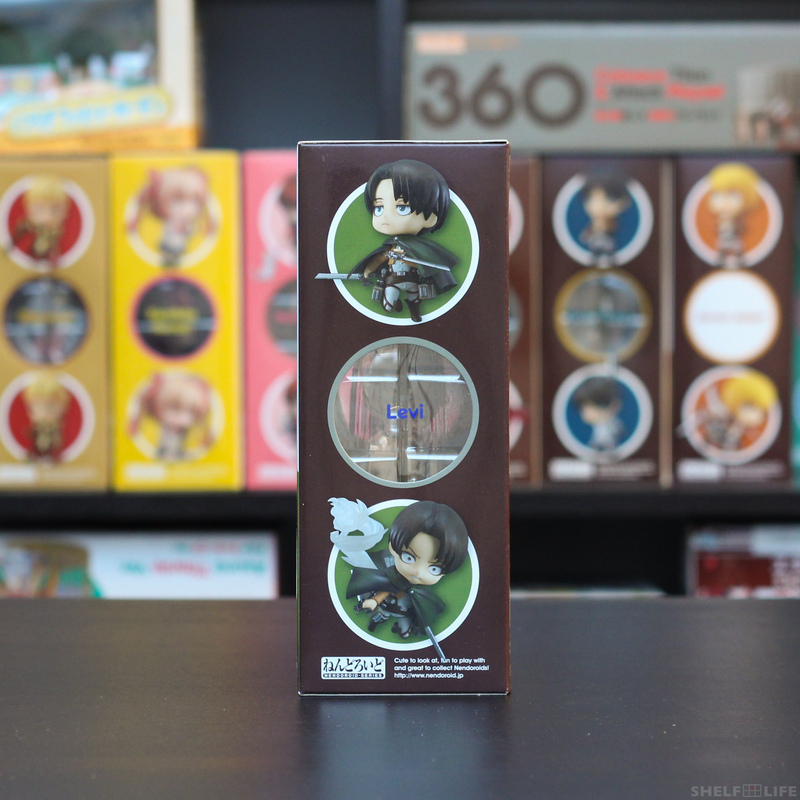 Levi is one of five Shingeki no Kyojin Nendoroids currently released. 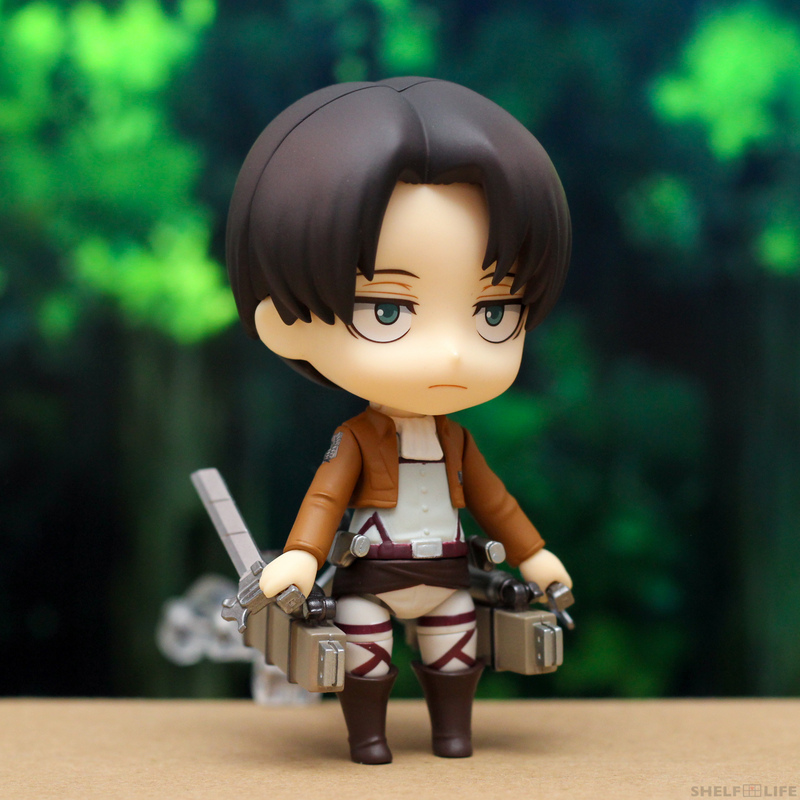 I think Good Smile Company has done a wonderful job shrinking him down to Nendoroid form, and I find him absolutely adorable! The details overall on his cloak, uniform, and 3D maneuver gear are impressive for their size, although the paint job for his harness could have been better. 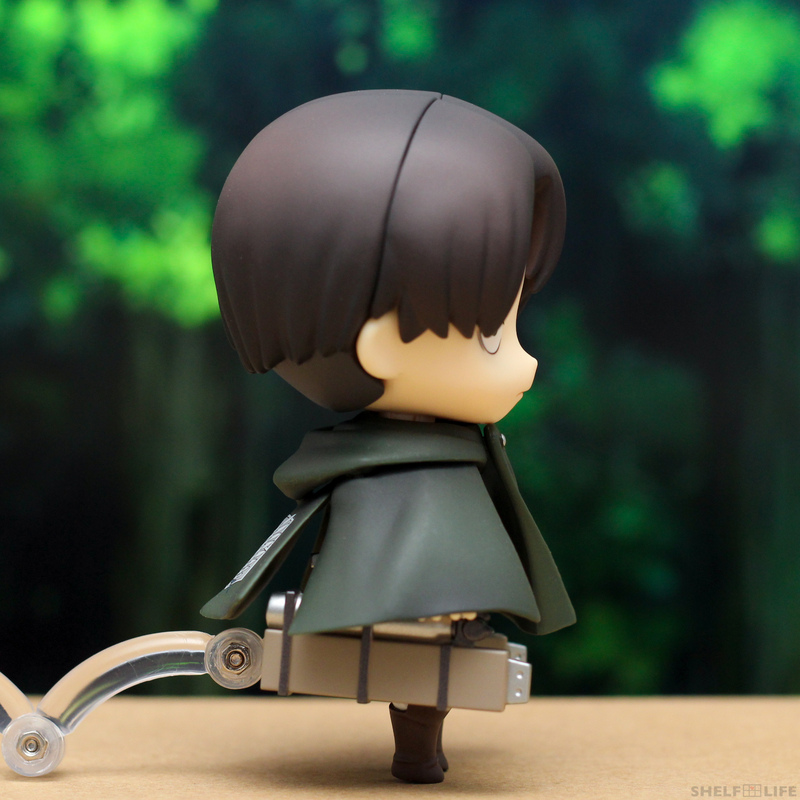 I love trying to put Levi in different dynamic poses, and the ball joints for his legs and the segmented arms definitely helped in allowing that. One of the biggest concerns I have with him, however, is that he is quite fragile. A lot of his joints are loose, which causes parts to move or fall off when you’re trying to pose him. 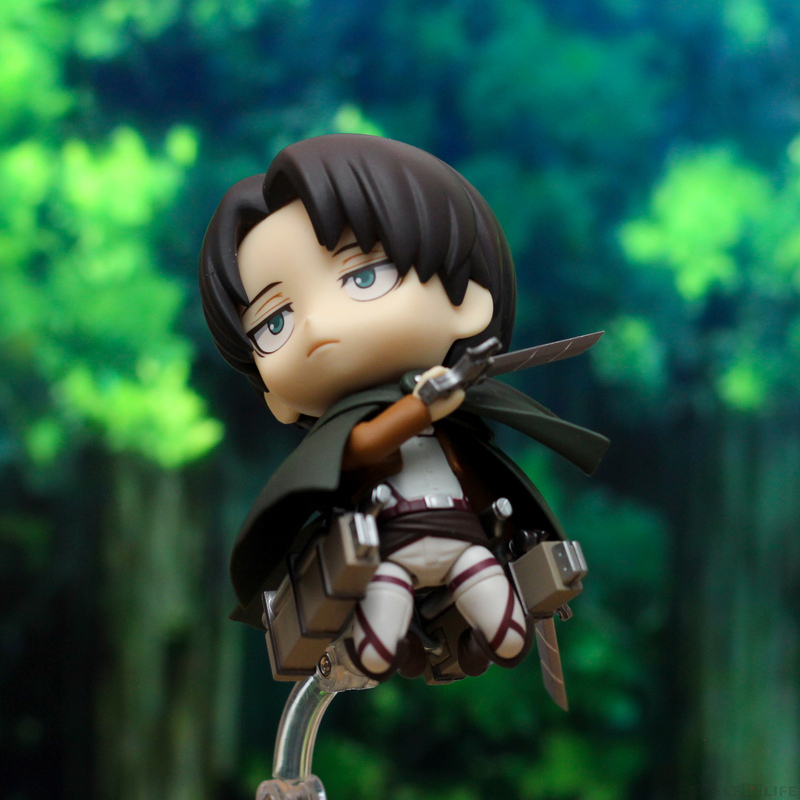 I’m not sure if this is just a problem with my particular Levi, but if it is just mine, then I definitely recommend picking him up if you’re a fan. 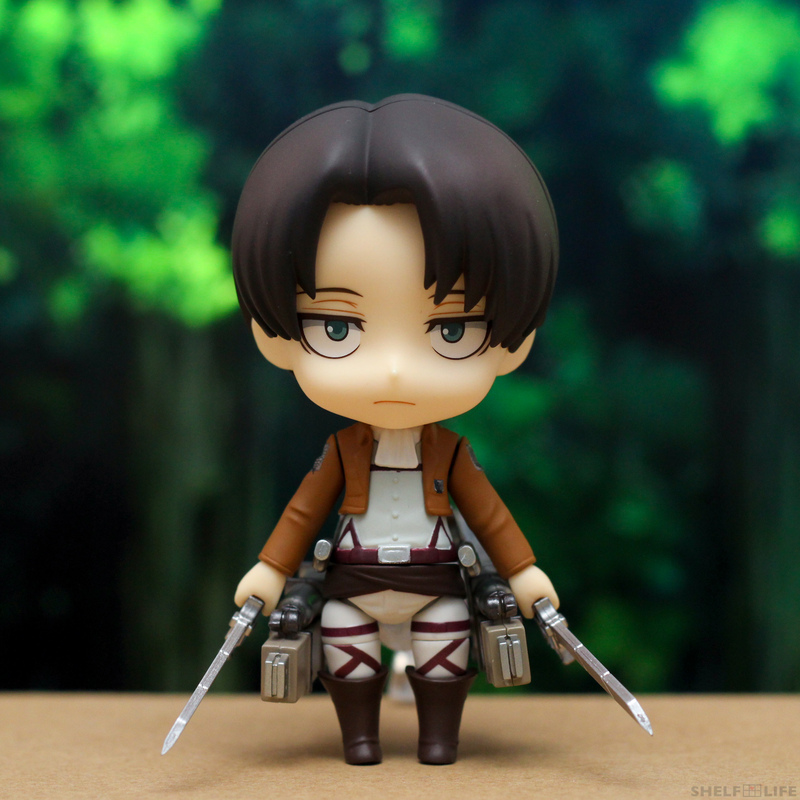 Please do be careful about buying him though, as there are counterfeits/bootlegs of him out there! Anyway, that’s all for today! 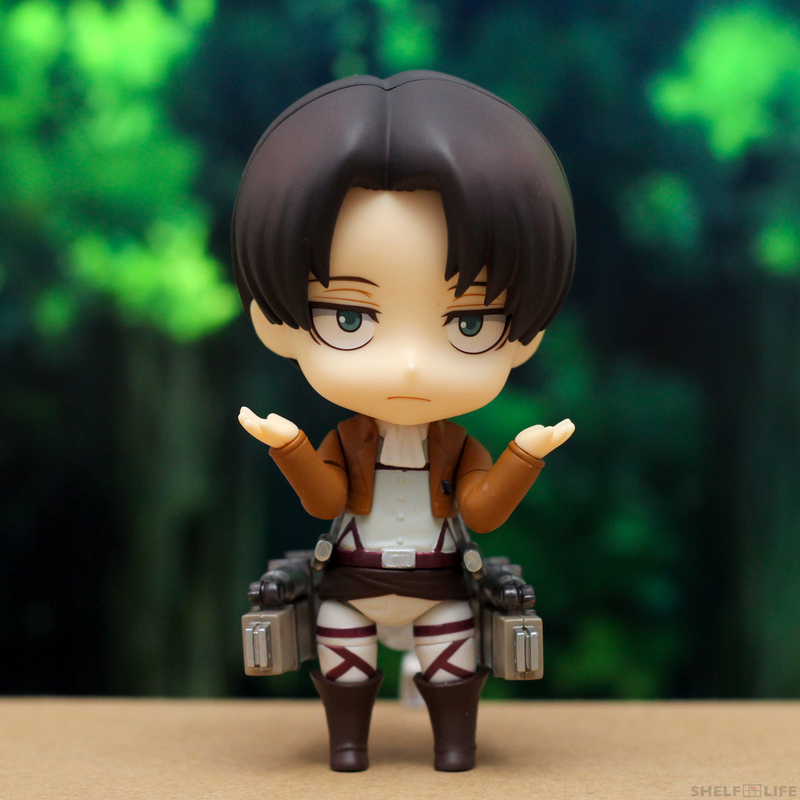 Does anyone else have a Levi and experiencing problems while putting him together? Feel free to share your comments below. Thanks for reading~! ๑>◡<๑)／ Until next time~ Mata ne! 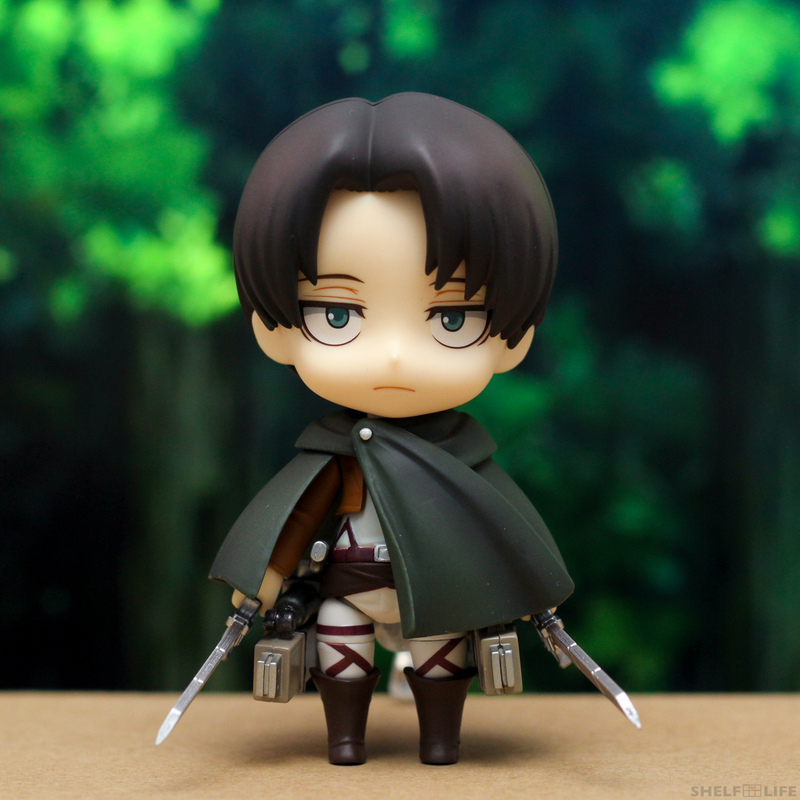 Posted in Nendoroid Reviews, Nendoroids, ReviewsTagged attack on titan, heichou, levi, nendoroid, review, shingeki no kyojinBookmark the permalink. 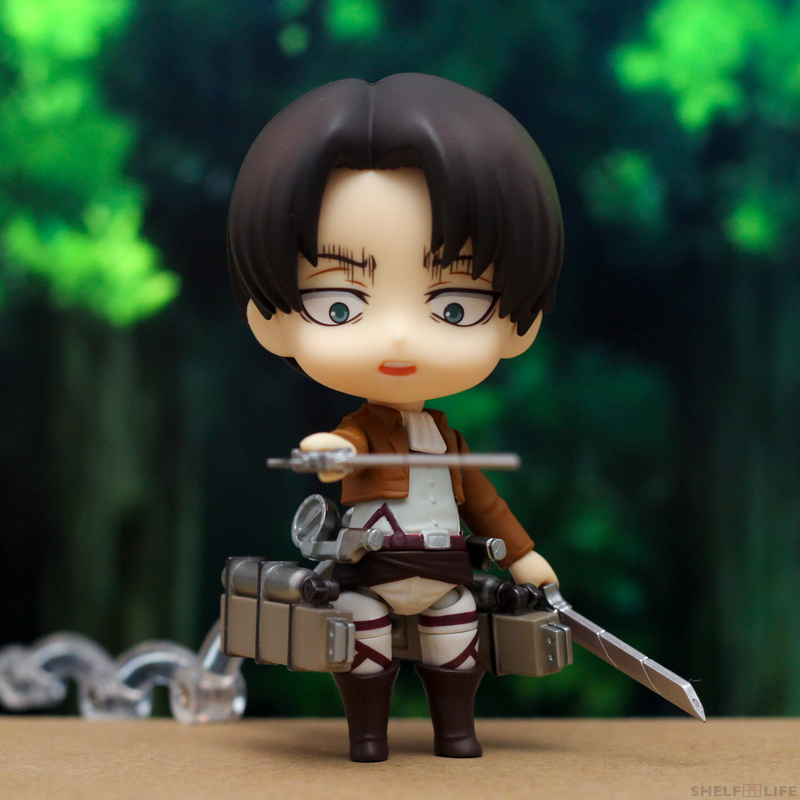 Captain Levi in nendoroid [form is a work of adorable! 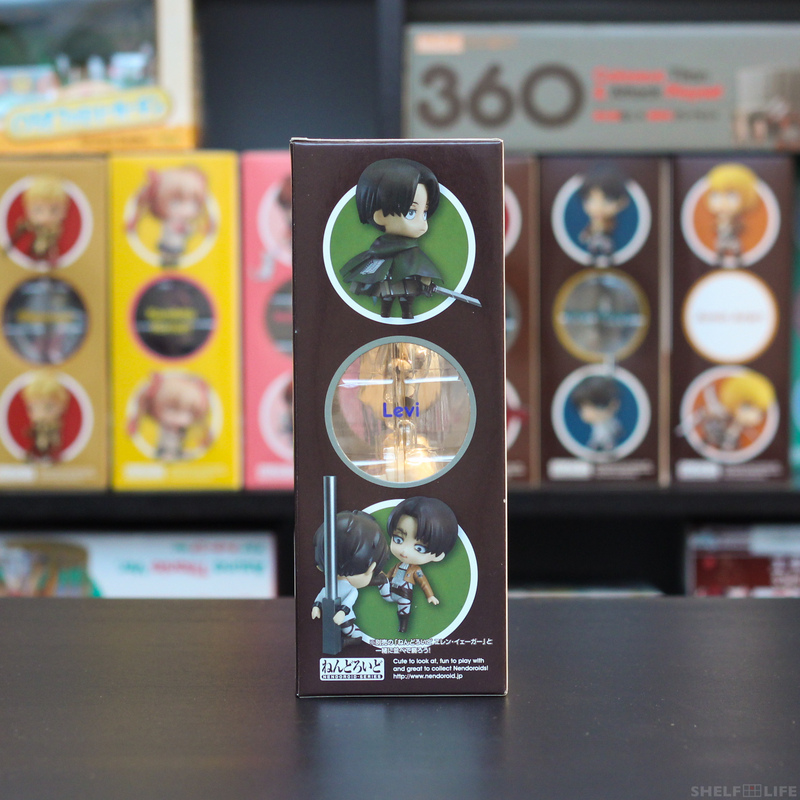 Excellent anime figure review.